KEF E-Series E305 iconic egg inspired Theatre Speaker System fills the room with genuine high fidelity sound-that’s certain to bowl you over. Compact and elegant, E Series discretely delivers the full entertainment experience. 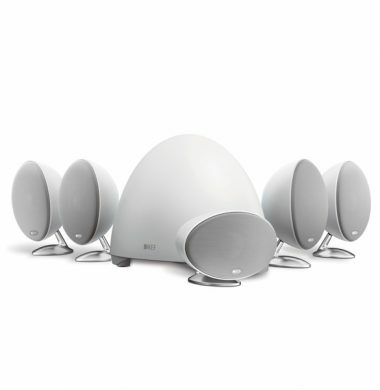 KEF’s award winning ‘egg’ design revolutionised home entertainment with its rich spacious and realist 3D sound imagery. The attractive, contemporary E Series pack uniquely advance technologies in a extremely distinctive compact satellite speakers and potent new powered subwoofer sublty to match. 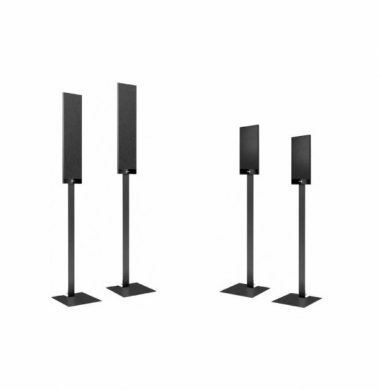 The KEF T series speaker stands are an elegant option for mounting your T101 – T301 speakers. The elegantly simple extruded aluminium floor stands styled to match your T Series speakers are avaialble in Black and White finishes. By automatically rebalancing the output for wall or desktop mounting, the Selecta-mount system cleverly concealed in each stand gives you complete freedom of positioning without compromising sound quality. 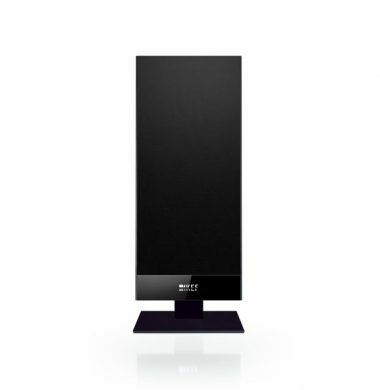 The KEF T101’s can be wall mounted vertically as satellites either side of your TV or on the desk stands supplied or the optional floor stands. 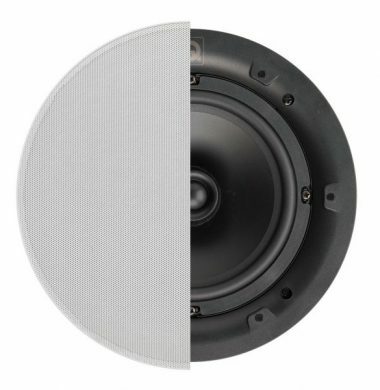 The standard T Series speaker features KEF’s new 115mm (4.5in.) ultra-low profile bass and midrange driver paired with the high performance new 25mm (1in.) vented tweeter. 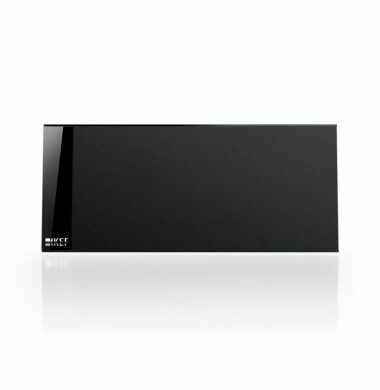 KEF T101c can be mounted vertically as satellites (whether wall-mounted, on the desk stands supplied or the optional floor stands) or horizontally as a centre channel above or below the TV, the standard T Series speaker features KEF’s new 115mm (4.5in.) ultra-low profile bass and midrange driver paired with the high performance new 25mm (1in.) vented tweeter. 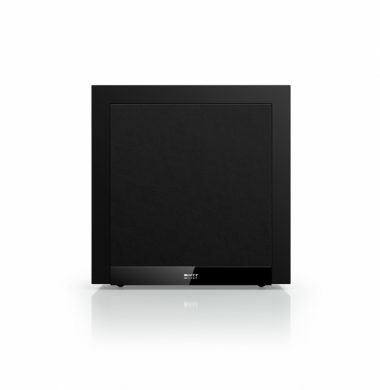 The KEF T2 active subwoofer is a slimline closed box design speaker, the assertive T-2 subwoofer completes the 3D sound image by adding definition and weight to the LF response. Easy to conceal and operating in the same phase as the speakers for perfect integration, it delivers fast, uniformly dispersed and devastatingly accurate bass. 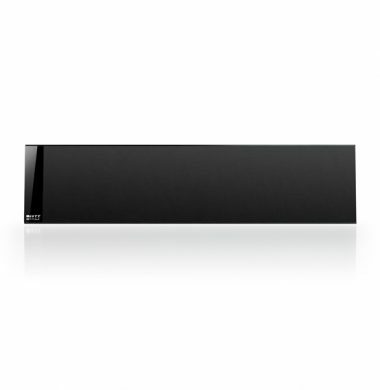 Choose the KEF T301 for a system that delivers the sound power, but does not over power your room. The KEF T301 Slimline satelite speakers can be mounted either side of you TV to complete your home cinema/surround sound system. KEF T301’s feature the new revolutionary slimline design, available in a Black or White finish to complement your TV screen. Larger than the T101, the T301 delivers the same high performance with its 25mm (1in) vented tweeter but is paired with two 115mm (4.5in) ultra low profile bass and midrange drivers for an even bigger sound. 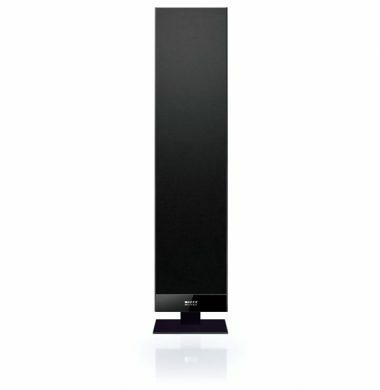 The KEF T301 can be mouted horizontally as a superb centre channel above or below your television. The KEF T301 is the bigger brother of the KEF T101, the larger T301c model delivers the same high performance 25mm (1in.) vented tweeter as the T101C but is paired with two 115mm (4.5in.) ultra-low profile bass and midrange drivers for an even bigger sound. KEF’s Ventrua 4 outdoor speakers are tough. Yet come rain, shine or high water, they deliver a rich, high precision sound. KEF, are renowned for their passion for audio excellence. All of their outdoor speakers feature a fluid cooled, anodised aluminium dome tweeter and an injection moulded woofer – so you can enjoy the KEF hallmarks of transparency and clarity. The flagship Ci500W adds an Auxiliary Bass Unit for deep, authoritative bass. The Q Acoustics Qi65C, 6.5“ Professional in-ceiling single speaker features the latest stereo speaker technology that so that you can enjoy great sound with minimal installation. The Q Acoustic Qi65C stereo speaker pair gives you the ability to listen to music throughout your home, even in bathrooms as they are moisture proof. Now you can listen to the same music in many rooms, where before it was practically impossible due to the impractical nature of having the speakers dotted around in each room. 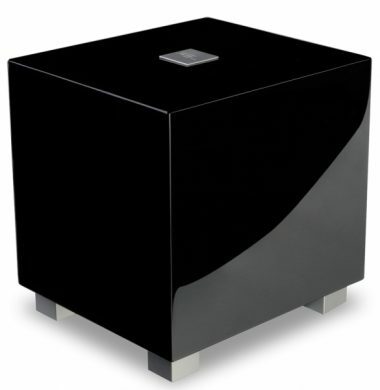 QED provides a range of products for improving flexibility of Hi-Fi and Home Cinema set-ups. 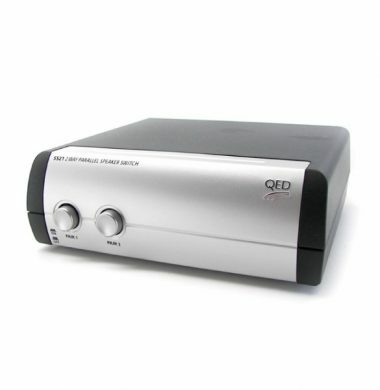 In this case, QED has provided with a small box that is capable providing an amplifier with a further auxiliary input. For example, you might have an i-Pod dock and a CD player both requiring input on the amplifier when there is only one input left that is free. The QED IX20 allows you to plug in both of these components, and the IX20 will act as a switch between them. 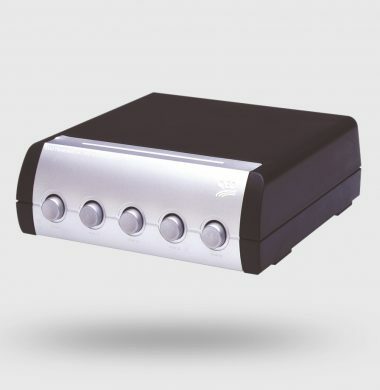 The output of the QED IX20 2-Way Input Expander is then connected to the single, free auxiliary jack that is on the rear of the amplifier. This little unit solves the dilemma of lack of auxiliary inputs on an amplifier by acting as a switch between the two outputs of two separate pieces of audio equipment. Gold plated connectors ensure a good contact is established between phono cable and audio components. The SS20 way parallel speaker switch by QED allows you to switch between two pairs of speakers (in parallel) for total flexibility and control. if you need to use your amplifier on full power for a louder sound delivery, you can simply switch on your second pair of speakers for that extra wow factor. THe QED SS21 2-Way Audiophile Parallel Speaker Switch allows you to switch between two pairs of speakers form a speaker amplifier to enhance your ultimate set up. 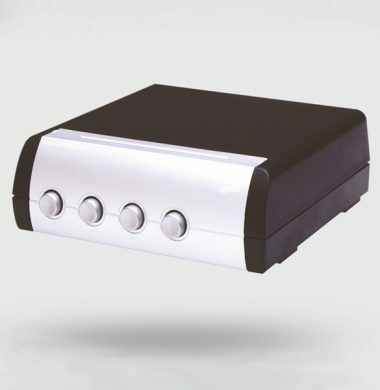 This QED SS30 3 way speaker switch connects and switches 3 pairs of speakers from one stereo amplifier. 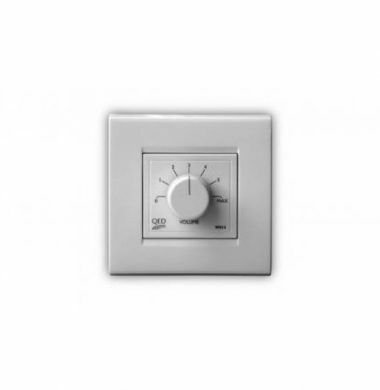 This switch uses a combination of series and parallel wiring inside to ensure that when 8 Ohm speakers are connected, the impedance never drops below 4 Ohms at the amplifier. 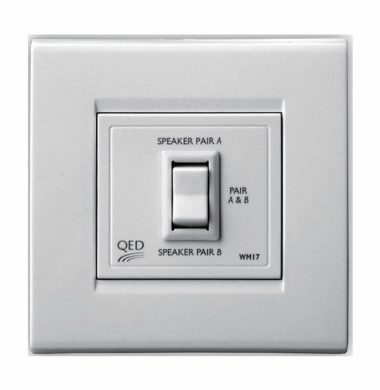 This QED SS40 4 way speaker switch connects and switches 4 pairs of speakers from one stereo amplifier. 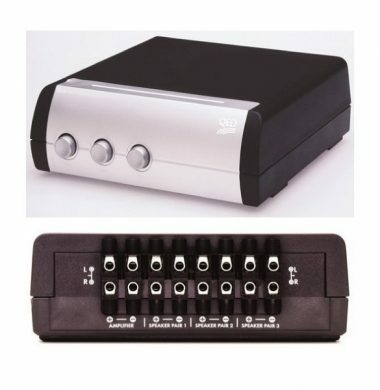 This switch uses a combination of series and parallel wiring inside to ensure that when 8 Ohm speakers are connected, the impedance never drops below 4 Ohms at the amplifier. The QED SS50 5 way speaker switch allows you to connect and switch up to 5 pairs of speakers from one stereo amplifier. This new push button version of the popular Transmatch has a unique impedence matching design, that converts a net 2 Ohm load back to a safe 4 Ohm load to protect your amplifier. The QED SS50 product ensures that you are able to use up to five pairs of speakers in series from the same stereo amplifier to cater for your audio needs. 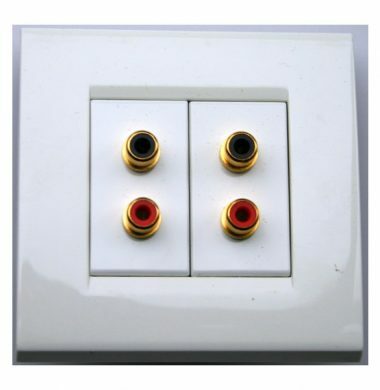 QED wall mounted speaker sockets WM07 for phono plug connections eg Tech+Link 2 phono to 2 phono cable. 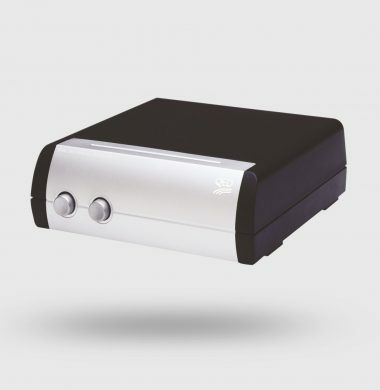 This QED WM07 twin pair of phono socket is ideal for where you want to send line level audio, ie NON amplified audio, from one location to another. For example if you have a stereo audio device eg a CD player and you want to send the sound to an amplifier eg a multiroom controller amp such as the Russound CAS44K or Sonos ZP120 Zone Player, through cables embedded in the wall. Note that the length of such embedded cable should be no greater than 20 metres. Beyond this distance we would suggest using the MuxLab stereo audio baluns. Both of these are balun systems using Category 5e cable. The QED WM14 is a seven step volume control with electronic protection; from ‘fully off’ to ‘maximum volume’. 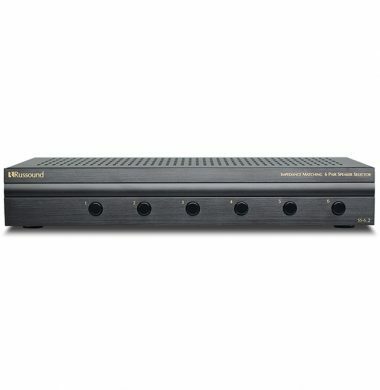 Designed to suit speaker cable and working at amplified level, ie to be positioned after the amplifier, the WM14 has screw terminal connections for easily connecting speaker cable. It can handle cable up to 2.5 sq mm cross sectional area. The QED WM15 two-way parallel speaker switch allows you to connect and switch two pairs of speakers in parallel from one amplifier. Parallel switching ensures best quality, but be careful as two pairs of speakers at 8 Ohm will lower the impedence to 4 Ohms. Check that your amplifier can handle this, before using. The power handling of the WM15 is 150 Watts RMS. The WM15 is suitable for use with the WM14 volume control. 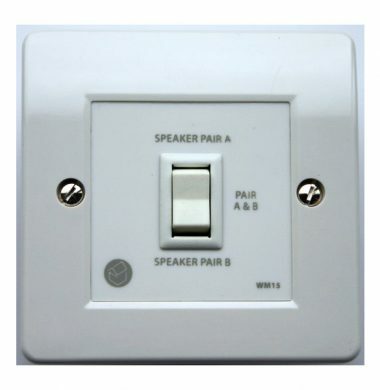 The QED WM17 two-way series speaker switch allows you to connect and switch two pairs of speakers in series from one amplifier. Series switching ensures that the load to your amplifier does not fall below 8 Ohms when using 8 Ohms speakers. 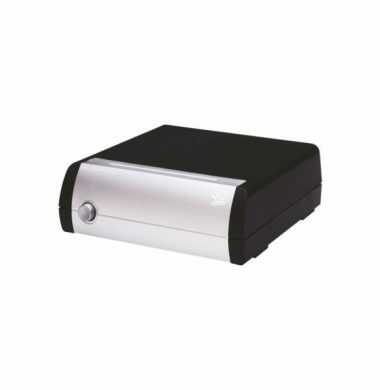 This way you protect your amplifier, but the volume level will drop when both pairs of speakers are playing because the impedence (resistance) will rise to 16 Ohms instead of the normal 8 Ohms. The TZero is a miracle in miniature from REL. When many of us have less living space, we need to pack as much enjoyment as possible into every room. With the TZero you feel as if you are thoroughly immersed into your favourite movie or bring your gaming console to life. This sub woofer enables your room to take on a whole new meaning. When sound effects propel you, with life like bass, and your favourite digital music files appear and float in front of the listener with lifelike clarity and power. This is the new Russound 6.5” Two-way In-ceiling/in-wall Acclaim Performance Series, Wide Dispersion Speakers featuring the distinct designer-inspired, edgeless easy to install magnetic grilles and significant acoustic refinements including the introduction of the proprietary NeoDrive ultra-light compact driver design that enables installation in tight spaces without compromising sound quality. 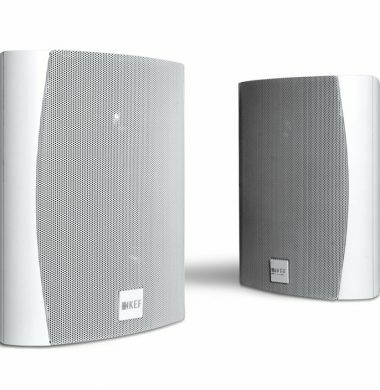 The line’s purpose-built philosophy ensures this is an optimum performing speaker for an application and round and square grilles options ensure they blend into any décor. All models offer Russound’s time saving triple-dog design, allowing for quick and efficient installation, as well as a limited Lifetime Warranty. 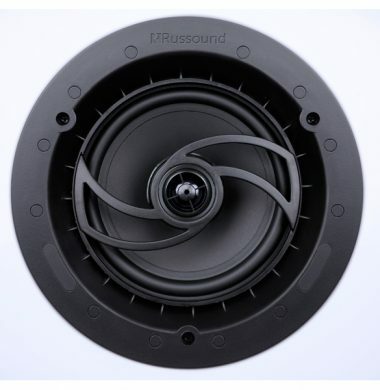 The Russound SS-6.2 speaker selectors permit either four or six pair of speakers to be turned on and off through individual switches on the front panel, it also provides overload protection and long-term reliability. Multiple pairs may be engaged simultaneously if desired. When multiple pairs are engaged, impedance matching protection must be employed to protect the amplifier from damage.The SS-6.2 have this impedance matching protection built in, when selected by the Impedance switch on the rear panel. 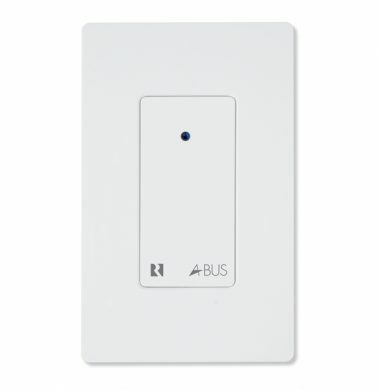 The Russound BTA-2 is a wall-mounted local input module for A-BUS installations that allows the easy integration of any Bluetooth® audio source such as those from a phone or tablet. 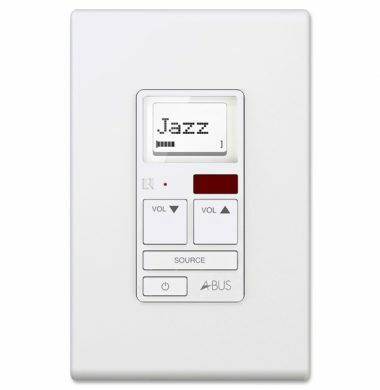 Whenever a Bluetooth signal is received, the BTA-2 will automatically switch the active audio source to the Bluetooth device, making it simple and easy to use by any homeowner.